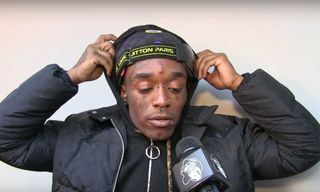 Dreamville rapper J.I.D. caught up with Nardwar while he was at SXSW in Austin during his “Catch Me If You Can” tour. J.I.D. nerded-out with The Human Serviette about everything from Spillage Village to Little Dragon. 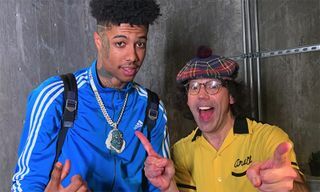 Nardwuar used his super-human research skills to uncover the Atlanta rapper’s admiration for Jazz poet Langston Hughes and his past glory days as a high school football star. 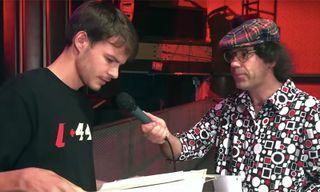 Perhaps the greatest moment of the interview came when the Canadian super-geek gifted J.I.D. a pair of Goodie Mob instrumental LPs. 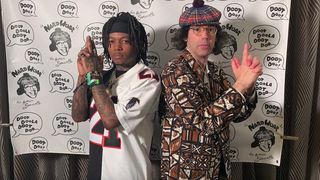 According to J.I.D., Goodie Mob just started following him on Twitter and he thought, “they would appreciate me rapping over this.” Nardwuar encouraged the idea, especially given J.I.D. 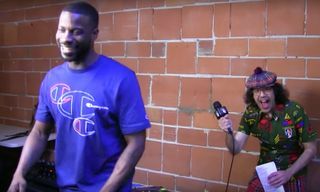 is one of the few rappers who tours with his own turntable. J.I.D. 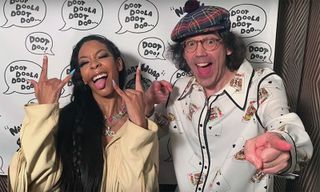 seemed to enjoy the experience more than Uzi, who literally ran away from Nardwuar mid interview last year.